19460 Pt. 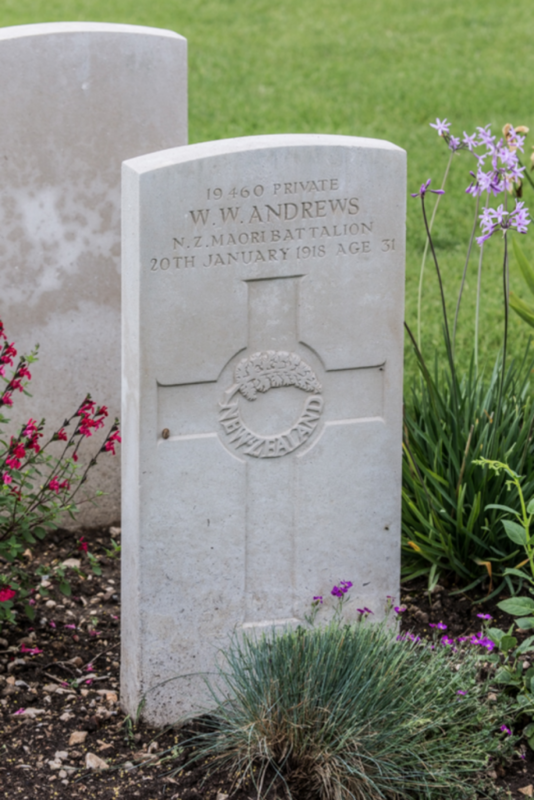 William Wilson Andrews also served with New Zealand Pioneer (Maori) Battalion during WW1. He died on a Sunday, 20 January 1918, WW1. Buried in Mazargues War Cemetery, Marseilles, France.